There are many overlay technologies today thanks to the increase of virtual servers technologies, which allow us to move virtual machines and services from one data center to another even if they are in different countries. Therefore, when we are going to design a new network is important to know about overlay technologies, their pros and cons and their differences, to choose the best solutions for our company. I have already written about Virtual Extensible LAN (VXLAN) but there are many others Host Overlay and Network Overlay technologies like NVGRE, STT, OTV, LISP or VPLS. NVGRE stands for Network Virtualization over GRE and it was developed mainly by Microsoft and submitted to IETF for standardization by other companies as well like Arista, Intel or Dell. It is a layer 2 encapsulation technology for large cloud computing deployments to encapsulate layer 2 frames over layer 3 networks. This technology has 50 bytes of overhead and includes 24 bit VSID (Virtual Subnet Identifier) to make till 16 millions logical networks for better multi-tenancy support. In addition, we'll have better network scalability by sharing Provider Addresses (PA), or Physical Addresses assigned to each Hyper-V host, among VMs. STT stands for Stateless Transport Tunneling and it is a layer 2 encapsulation technology to encapsulate layer 2 frames over TCP/IP, instead of GRE as NVGRE does or UDP as VXLAN does. However, STT is stateless what means it uses the TCP header but not the protocol state machine, as a result no ACKs, no handshakes and no rate control. Therefore, it has a TCP-Like header and a STT header, which is send only in the first packet and segmented by the NIC. In addition, it is designed for TCP Segment Offload (TSO), which is a technique for increasing outbound throughput, it uses large buffers and lets the NICs splits them into small packets. VMware NSX solution can implement this technique. 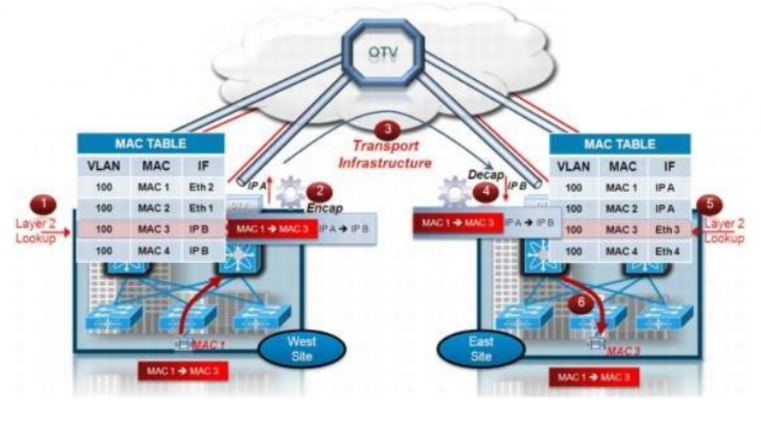 OTV stands for Overlay Transport Virtualization and it is a Cisco proprietary protocol implemented in Nexus 7k data-center switches to encapsulate layer 2 frames over UDP, like VXLAN. However, this is a Network Overlay technology, and not Host Overlay technology like VXLAN, useful for data center interconnection to extend VLANs between or across data centers. OTV uses the IS-IS protocol to advertise MAC addresses like Shortest Path Bridging does. 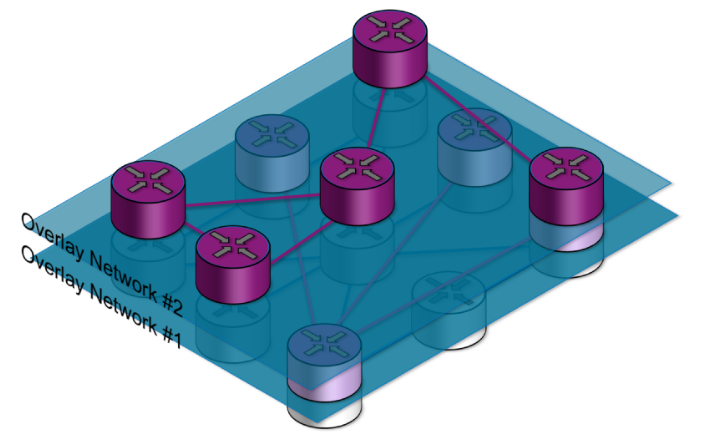 LISP stands for Location/Identifier Separation Protocol and it is another Network Overlay technology that wants to separate where a client is attached (routing locators) and who the client is (identifiers). It uses UDP for encapsulation but it carries IP packets, instead of Ethernet frames like VXLAN does. On the other hand, this is an experimental protocol, maybe we'll see it in the near future. Regards my friends, maybe there are many technologies, protocols and standards to design and implement our networks but we should know about it.